Drive from Addis to Arba Minch. On the way; visit the Jamaican community at shashemene town,senkalle wildelife sanctuary near the town of aje, the hill top of Chencha for Dorze ethnics. Dorze Tribes have their own skill of weaving cotton clothes & their traditional houses. Drive to Nechisar National Park for bird watching and game viewing. 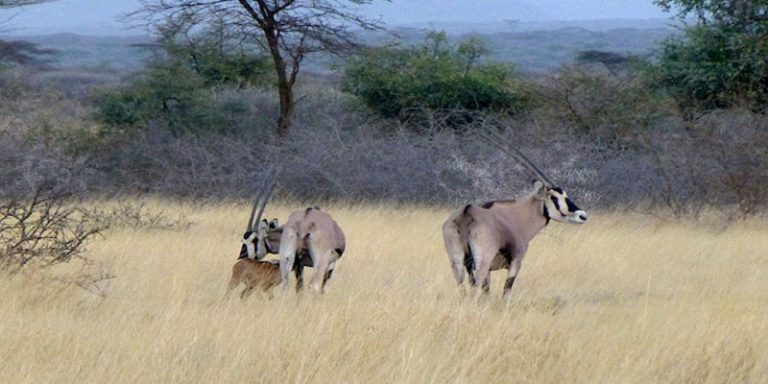 In the park, you will see different bird species, In addition to birds, Nechisar is the home of some mammals like the endemic Swayne’s Hartebeest, Thomson’s gazelle, Berchule’s Zebra, Greater Kudu, Dik-Dik, and Baboons. Afternoon: boat trip on Lake Chamo. 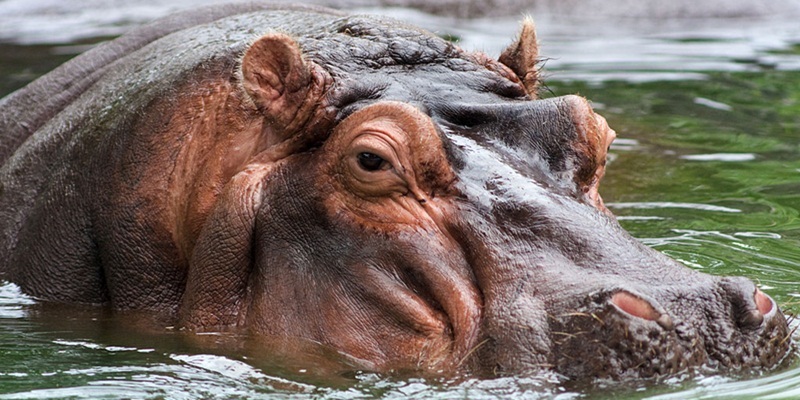 This Lake is known for its enormous population of Crocodiles and Hippopotamus. Also White pelicans are abundant. Stone age tour and travel plc Drive to Jinka- roughly 240km from arbaminch. At key Afer; there is a colorful market on every Thursday & here you can see the Tsemay, Ari and Bena people. Drive further to Jinka. 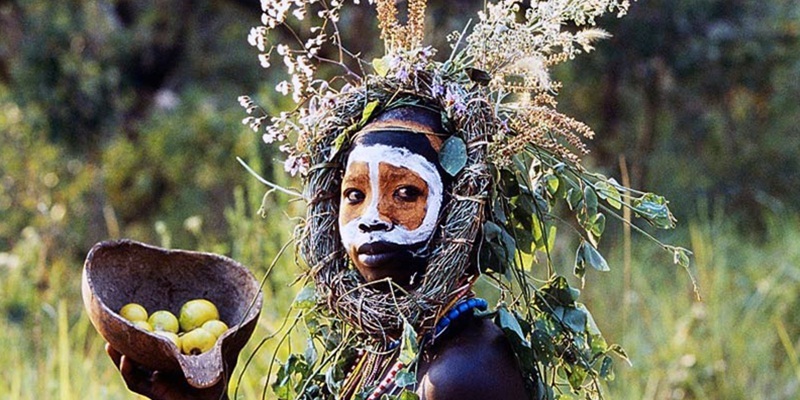 Drive to Mago National Park & visit the Mursi tribes in their villages. They are well known for their unique lip plates. 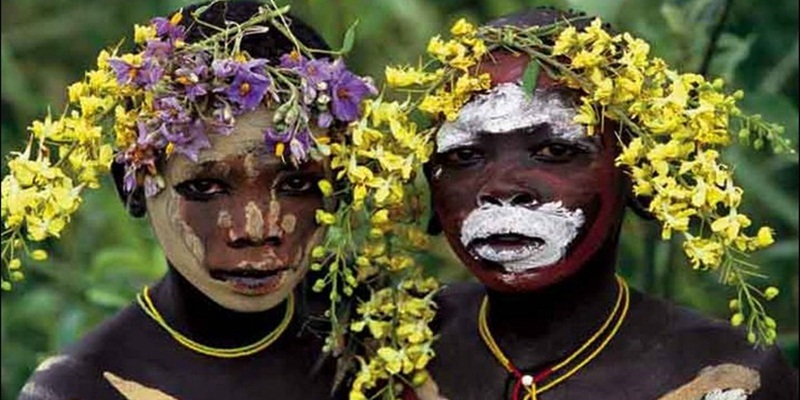 Women of the Mursi tribe may have their lips cut at the age of 15 or 16. A small clay plate is then inserted into the lip. Through the years, larger plates are inserted into the lip causing it to stretch. The larger the clay plate, the more the woman is worth before she gets married. 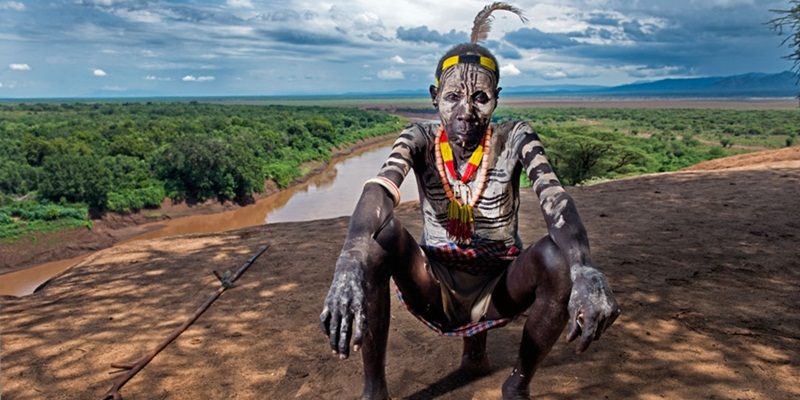 (Surma tribes – settled on upper Omo River have the same culture with Mursi). In Mago National Park; there are no many animals visible during the day, but during night time, thousands of sounds, among which is the trumpeting of elephants may be heard. If a visit is early morning, Kudu, Dik – Dik and Guinea Fowls are probable to be seen. Drive back to Jinka and visit the ethnological museum of Jinka in the afternoon. After breakfast; drive to Turmi (roughly 139km from Jinka). On the way; discover the colorful Dimeka Market (Every Saturday). If this program concied there is bull jumping ceremony or a Hamer wedding party in the neighborhood during your stay in Turmi. After breakfast; drive from Turmi to Karo tribes (60 km rough road) with picnic lunch. Visit Karo tribes in Dus and Kolcho. The Karo tribes are mainly known for their special hairstyle and body paintings. Take your time here, discover & experience their lifestyle Drive from Karo via Murulle some kms and cross the Omo Rive for the Nyangatom/ Nyangaten tribes. Late afternoon; drive back to Turmi. Monday, the area around Turmi is where the Hamer & Bena people live, famous for their bull-jumping ceremonies and great body decoration. There is a popular Hamer and Bena market held in Turmi on every Monday, this is what you have to schedule your visit for, but the market will not be full until midafternoon, so this morning, after early breakfast, first drive to Omorate (75km),nearby the Omo River and cross the river by local boat. 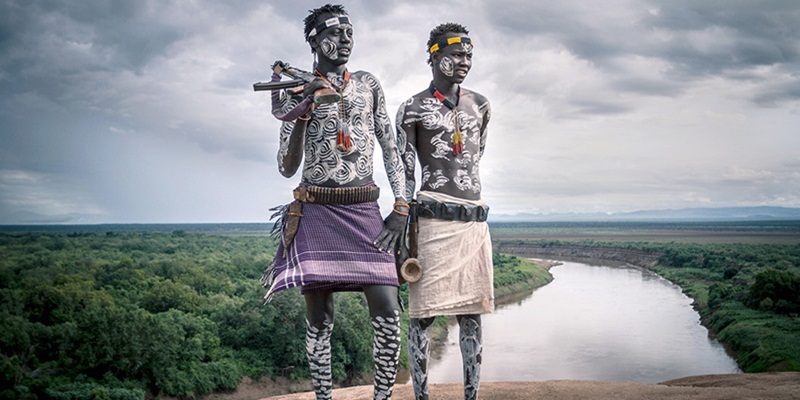 This area is inhabited by the Dassenech (Galeb) people, known for their very interesting house design and body painting. You will stay with them for a couple of hours, then cross the river again and drive back to Turmi, for lunch and a short break from the heat & visit the Turmi Market. Late afternoon; approach to some Hamer villages to discover their lifestyle at home and attend the Evangadi Dance. Stone age tour and travel plc Drive from Turmi to Konso via Arbore. Visit the Arbore people at their village named Arbore and proceed to Konso. Visit town of Konso (UNESCO World Heritage Site) – The people of Konso are well known for their terraced hillsides, fine woven materials, carved totems made of wood, decorated graves (mainly the king & his wife), impressive village and etc. Explore The Konso King, totems, Konso villages, and Gesergiyo (New York)-magnificent rock formation. After breakfast; drive to Yabello. On the way, overlook landscapes and villages of Borena people. Drive from Yirgalem to Langano (about100km). 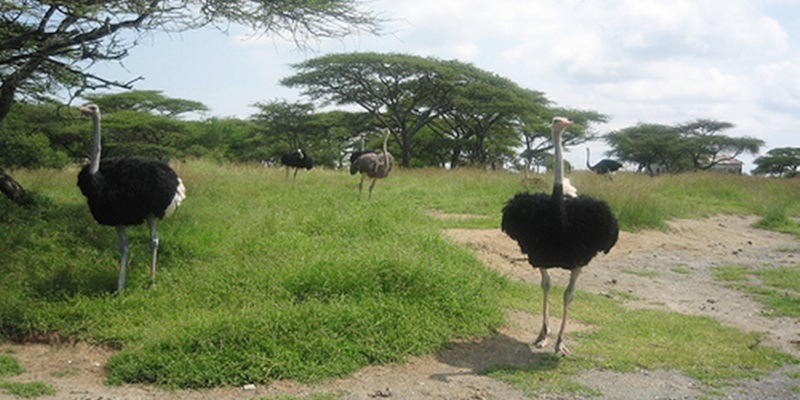 On the way, Visit Shalla – Abijata Lakes National Park for ostriches, antelopes, hot springs (at Lake Shalla) and enormous pink Flamingos at Lake Abijata. 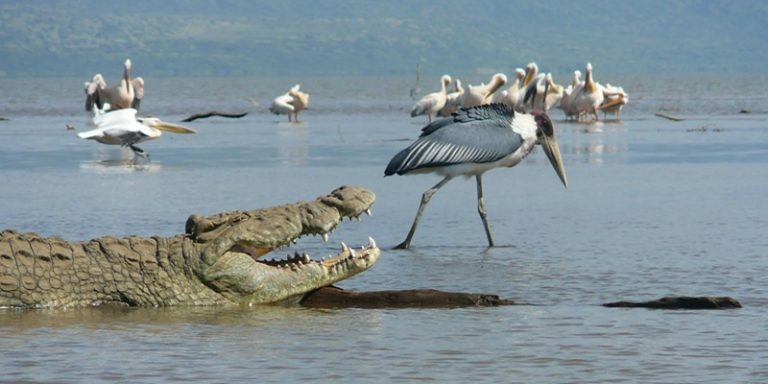 Lake Langano is a fresh breath taking atmosphere – beautiful white sand beach is bilharzias and crocodile free. Swimming, trekking and bird watching in the forest are possible activities. Drive to Addis Ababa via Butajira Road. On the way; visit Lake Ziway, Tiya Monuments, Addadi Maryam Semi Monolithic Church and Melka Kunturé archeological site.